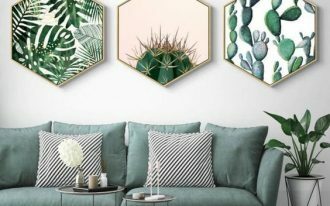 Mid century modern vibe has always been a favorite for those who love simple and minimalist look. 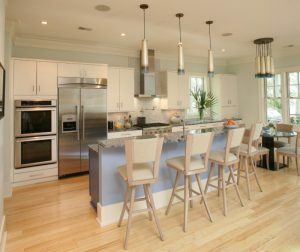 With clean lines and neutral colors, mid century modern has been complemented with Scandinavian style as they hold similar characteristics. 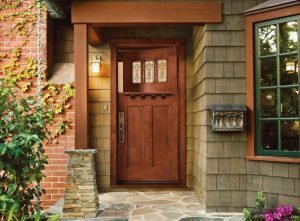 However, not only that Mid Century Modern can be complemented with Scandinavian but it can also be complemented with other styles. 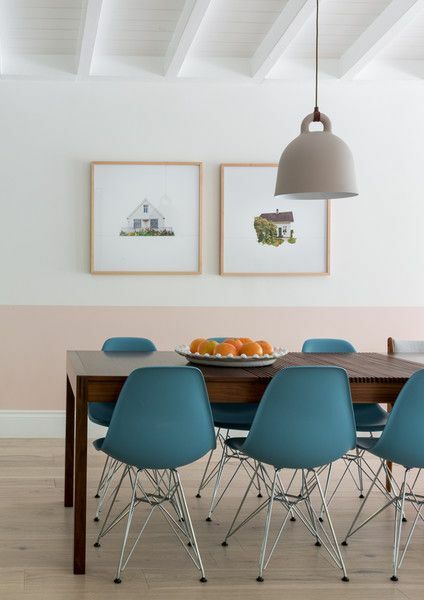 And these ten here will show you how great Mid Century Modern chairs blends with the surrounding in the dining room. 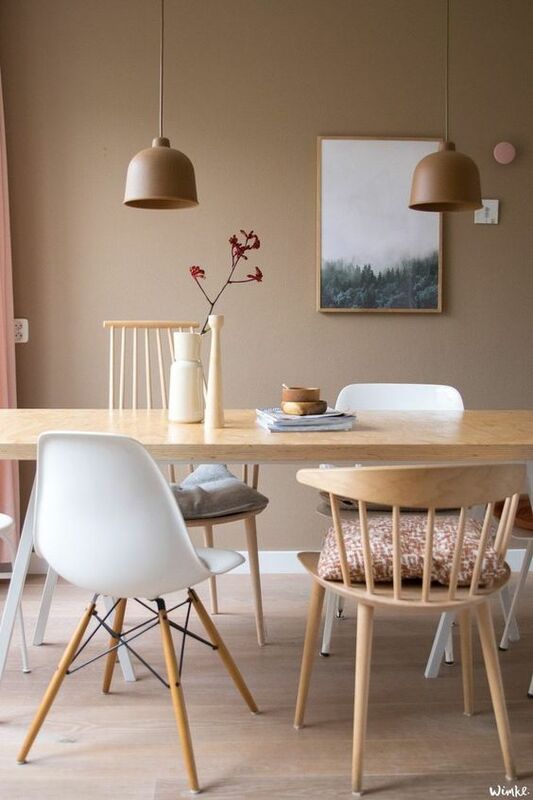 Mid century modern chairs seen in this picture have been popular in houses as it looks light, modern, and practical as well, with little details under the chair. 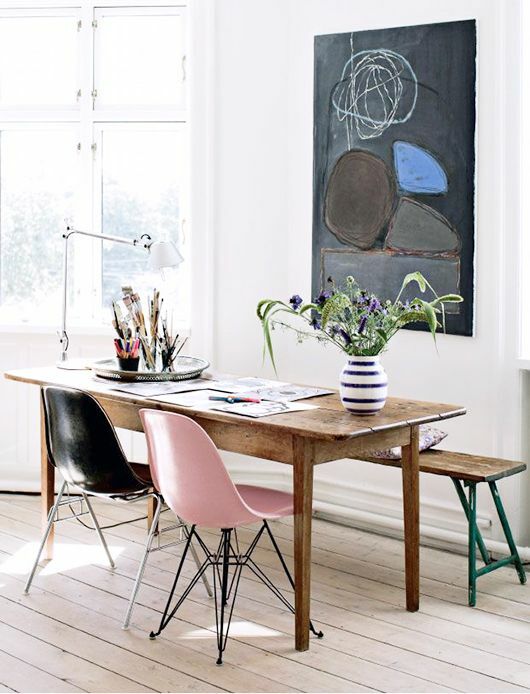 Colored in pale muted color that Scandinavian style mostly fond of, the chairs channeling both themes perfectly well. 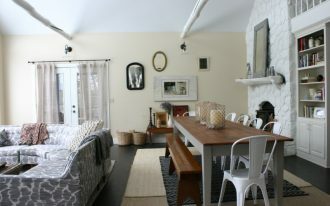 And used in this neutral dining room, it is easily part of the room. 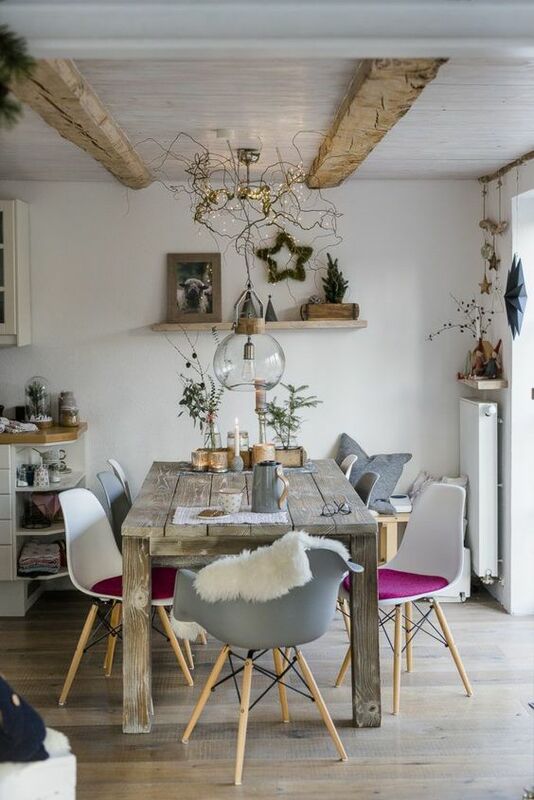 In this Scandinavian open kitchen, the warm wooden dining table is in the right place with its long wooden bench. Accompanied by black and white mid century modern chairs, it gets the contrast in colors and material. However, the clean lines make sure it looks pretty anyway. 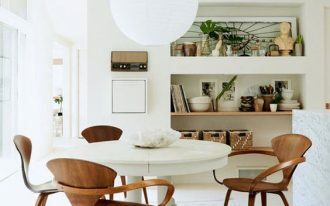 In this dining room with natural surrounding, the white mid century modern chairs blend gorgeously in the room accompanied by sturdy and simple wooden table that looks strong. In this traditional vibe that is already mixed with modern touch, the mid century modern chairs in pink and black loo complemented. 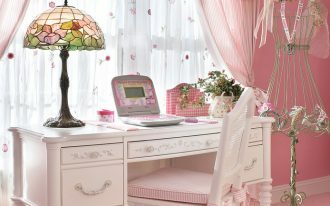 Along with long wooden bench, it creates a fun and dynamic look in the corner. 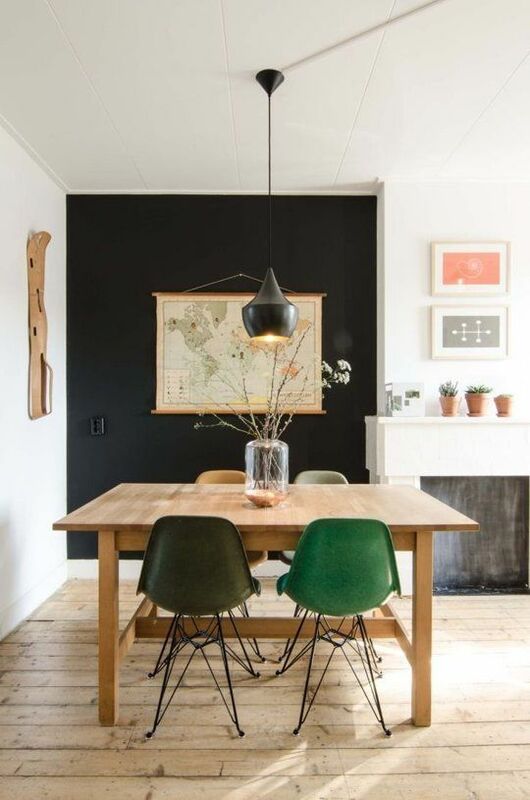 While Scandinavian style is not fond of bold colors, mid century modern actually is. And this one here goes along with their fondness of bold colors while maintaining to be the popped up thing for the neutral room in the background. This arrangement, however, is exactly what Scandinavian loves. 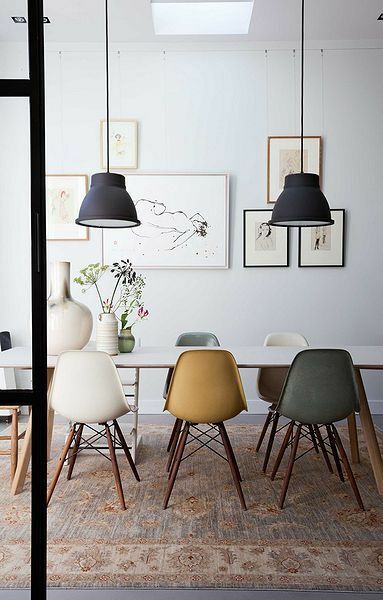 In the simple and neutral room below, the dining set gives an interesting sight with its muted colored mid century modern chairs. Although they are muted and pale, this colors have been a fresh touch. This dining set is another interesting story. With its white and grey table bench, it has pale look. However, added with black mid century modern chair, it gives contrast to each other. 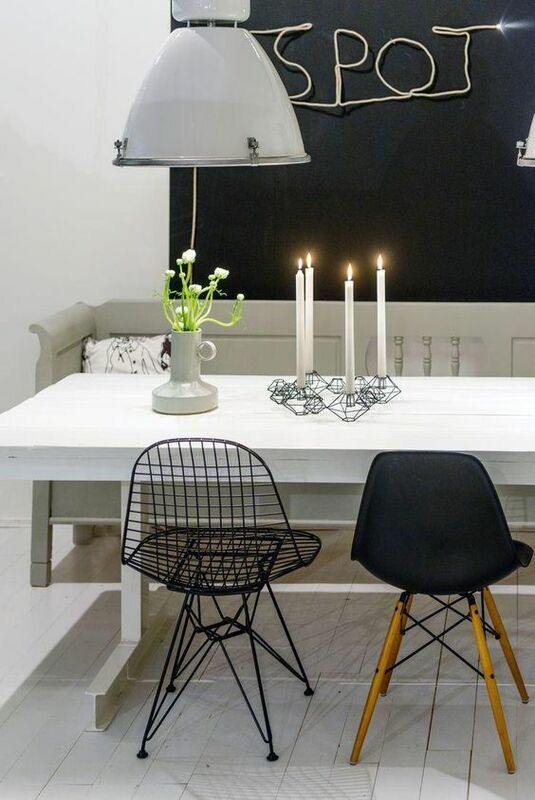 The interesting piece is the black wired chairs that actually has the shape of mid century modern chair. 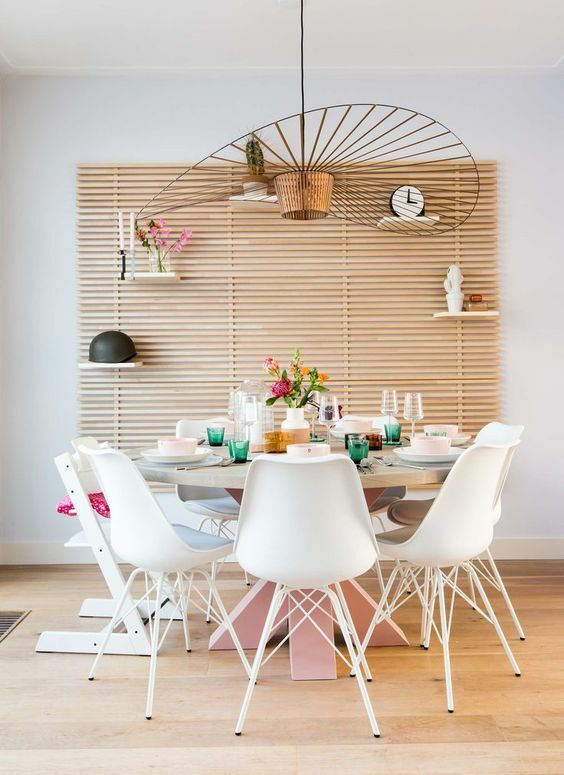 In this modern and chic look, the neutral basic white mid century chairs are paired with wooden chair, and round wooden table with pink legs. It all looks pretty with little interesting details here and there. 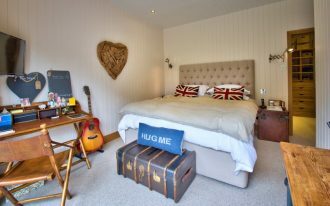 Another interesting touch is the wooden slat on the wall and the gorgeous pendant. This white mid century modern chair here looks strong and alone in this brown surrounding. 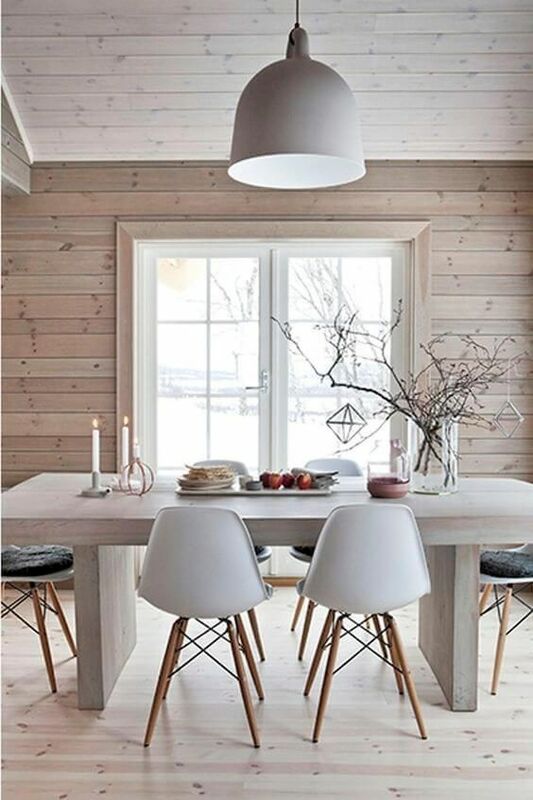 With all different chairs gathered on the long wooden table, it gives a unique yet familiar look to the dining room, especially with the neutral color palette. 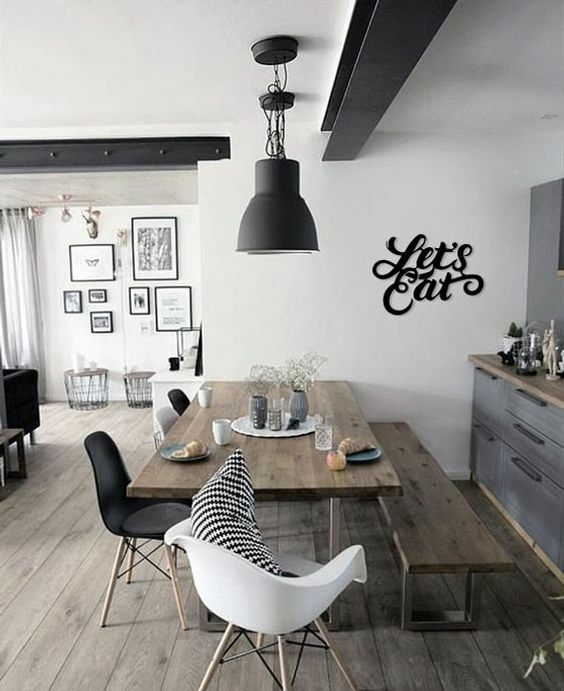 In this traditional styled dining room, mid century modern chairs are still looking good getting together with the wooden material and ornaments around. 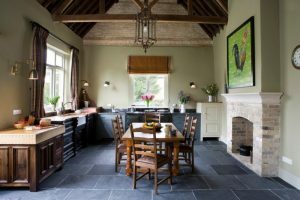 It brings the farmhouse look a little modern and young look.